In January 2016 I founded Environmental Progress with the immodest goal of lifting everyone out of poverty while reversing humankind’s negative impact on the environment. 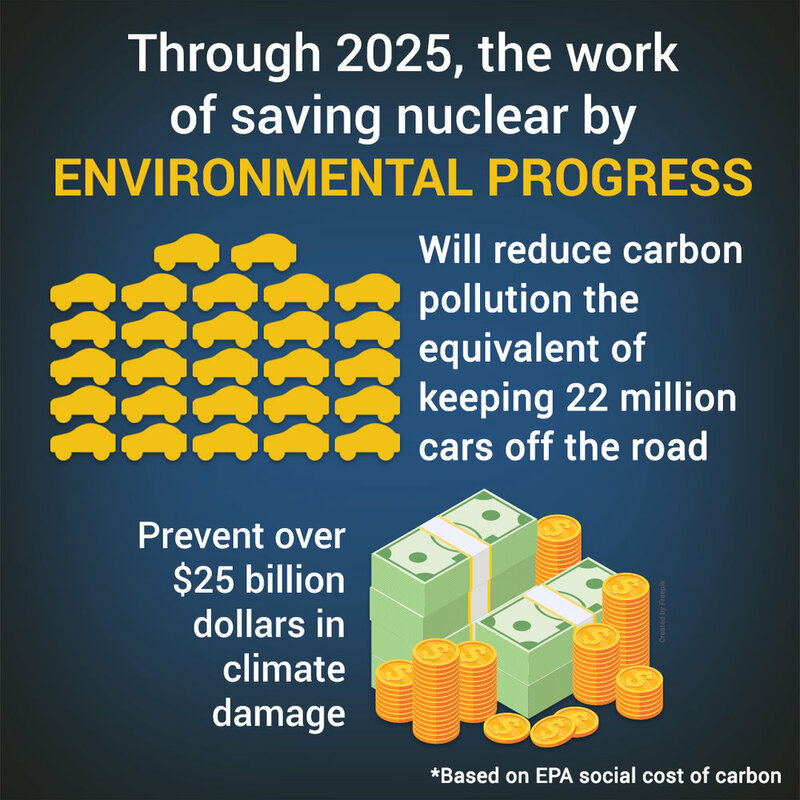 First on our list of priorities was preventing the closure of nuclear plants around the world. It was hard work, especially in the beginning. I went everywhere nuclear plants were at risk of closure, generating headlines, controversy and — over time — some big victories. Last year we won in Illinois and New York — this year we won in France, Connecticut and South Korea. Not bad for a couple years’ work! And EP is increasingly being joined by other pro-nuclear forces in advocating to keep nuclear plants operating. On Monday, I testified before the New Jersey Senate. Where EP was all alone in Illinois in 2016, in Connecticut and in New Jersey EP is being joined by other pro-nuclear groups including Generation Atomic, Environmental Hope and Justice, Clean Air Task Force, Third Way, and the Center for Climate and Energy Solutions. We still have a steep road in front of us. Nuclear remains badly misunderstood, and underappreciated. And we remain the underdog. But our strategy is clearly paying off — and more than anyone thought possible. I hope you will consider an end-of-the-year donation so we can take EP to the next level. The IRS recently awarded us nonprofit status, so every donation you make is tax deductible. With your help we will achieve our shared dream of nature and prosperity for all.